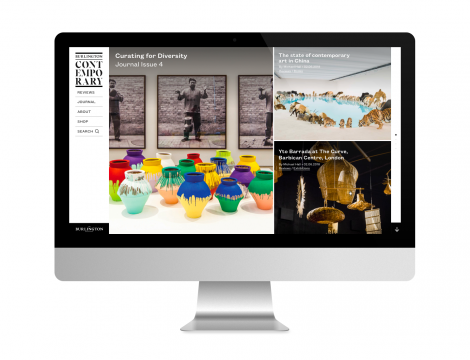 A new online journal has launched, celebrating the contemporary art world. Our client, the long-established Burlington Magazine, is the driving force behind it. We worked with them to design and develop a website that would suit their needs; with, of course, the Qi CMS to support it. This journal was launched in September 2018, and is dedicated to new research and informed opinion on recent art; and is intended to address the question of how one creates art history about art being made now. Reviews of contemporary exhibitions and books are published twice weekly, with the free access, peer reviewed academic journal be published three times a year. The first issue is expected in early 2019. The design balances the Burlington brand alongside a forward looking face for the contemporary art market. Responsiveness is, of course, of the utmost importance for this website. To learn more about the project, visit the project’s dedicated page; and go here if you would like to know more about our project process or about Qi. And you can also check out the magazine online.